The word ‘qira’aat’ is (he plural of qiraaa, which conies from the vnolq-r-a meaning, ‘to read, to recite.” ‘Oiraa’a’ means the recitation of something. 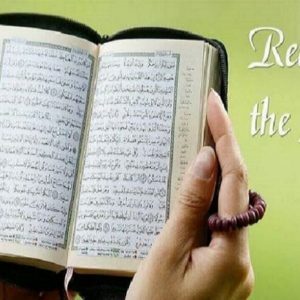 In Quranic sciences, it refers to the various ways and manners of reciting the Quran that are in existence today. As Imaain az-Zarkashcc staled, the Quran is the revelation that was given to Muhammad (5gg), and the qira’aat are the variations in words anil pronunciations ol this revelation. Thus the qira’aat are the verbalisation of the Quran, and the Qur’aan is preserved in the qira’aat. Each qiraaa has its own peculiar rules of recitation (tajweed) and variations in words and letters, and is named alter the reciter (Oaarec) who was famous lor that particular qiraa’a. 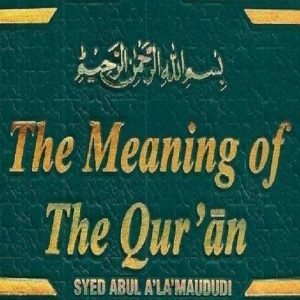 The primary method ol transmission ofthe Quran has always been and always will be oral. Each generation of Muslims learns the Quran from the generation before it, anil this chain continues backwards until the time of the Companions, who learnt it from the Prophet (%&,) himself. As ‘Umar ibn al-Khattaab stated, “The recitation of the Quran is a Sunnah; the later generations must take it from the earlier ones. Therefore, recite the Qur’aan only as you have been taught.”‘ ” This is the fundamental principle in the preservation of the Qur’aan. In the last chapter, the revelation of the Quran in seven ainttf discussed. As the Prophet («yg) recited the Qur’aan in all of these ahruf, the Companions memorised it From him accordingly. Some of them memorised only one half, others more than this. When the Companions spread throughout the Muslim lands, they took with them the variations that they had learnt from the Prophet They understood the importance of the oral transmission of the Quran. ‘Umar ibn al-Khattaab. during his caliphate, sent several prominent Companions to various cities to teach the people Qur’aan; ‘Ubaadah ibn as-Saamit was sent to Hims, Ubay ibn Ka’ab to Palestine, and Aboo ail-I)ardaa to Damascus. Likewise, during his caliphate, ‘Uthmaan also realised the importance ofthe proper recitation of the Quran, and sent reciters ot the Qur’aan all over the Muslim lands, each with a copy ofhis official mus-fwf. He kept Zayd ibn Thaabit in Madcenah; with the Makkan mus-haf, he sent ‘Adullaah ibn Saa’ib; to Syria was sent alMughcerah ibn Shu’bah (d. 50 A.H.); Aboo ‘Abd ar-Rahmaan as-Sulamee was sent to Koofah; and Aamir ibn ‘Abdul Qays to Basrah (d. ~ 55 A.H.). The Companions, in turn, recited and taught these variations to the Successors (tabi’oon), who taught them to the next generation (atbaa’ at-tabi’oon), and so on. Each generation had in its rank those who were famous tor their knowledge ol the recitation of the Quran. Thus, among the Companions, there were many who were famous as having heard from the Prophet (^) most if not all of the Quran. 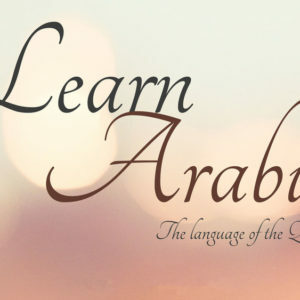 Included in this category are ‘Uthmaan ibn ‘Affaan, ‘Alec ibn AbccTaalib, ‘Ubay ibn Ka’ab, ‘Ahdullaah ibn Mas’ood, Zayd ibn Thaabit, Aboo ad-Dardaa, and Aboo Moosaa al-Ash’arce. These Companions taught those Companions who were younger or had not had as much exposure to the Prophet’s (^g) recitation, such as .Aboo I lurayrah anil Ibn Abbaas, who both learnt from Ubay. Some learnt from more than one Companion, as, for example, Ibn ‘Abbaas also learnt from Zayd ibn Thaabit. These Companions then taught the Successors. Since the Companions spread over the various parts of the Muslim world, each region started developing a specific type ofrecitation. Again, all ofthese various recitations had originated from the mouth ol the Prophet (^g), and the Companions spread the different variations throughout the Muslim world. Shihaab and Khaleelah ibn Sa’ad .